Personal addition #24 Grade wars winners! Our grade 12 class dominated grade wars. 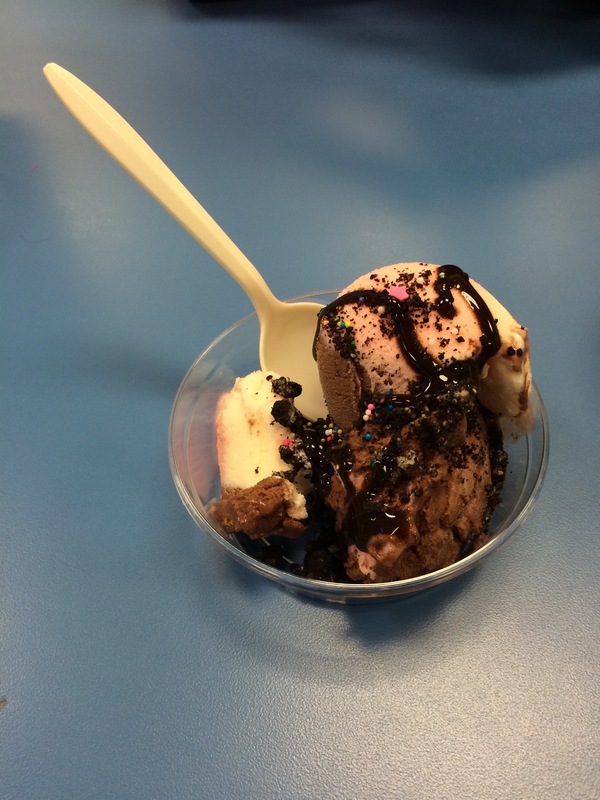 Today we were rewarded with our free sundae bar. From what I could tell 3/4 of the senior class showed up to receive their prize. Personally I got my favourite flavour, neapolitan. Which is a combination of chocolate, vanilla, and strawberry. With sprinkles, Oreo crumbs, and chocolate sauce to top it off. It was delicious.